This newspaper is published by an unknown publisher in Dublin, Ireland. It was digitised and first made available on the British Newspaper Archive in September 2014. 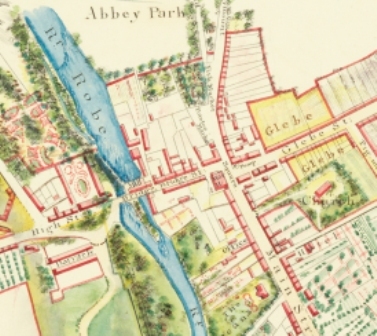 The Summer Assizes held in Ballinrobe in 1766 were presided over by Judge Lill, one of His Majesty’s Counsels who later became a Justice of the Court of Common Pleas. Among the cases tried was that of a young man named Morelly who was indicted for the murder of a pedlar named Patrick Hanly nineteen months previously at Balliville. 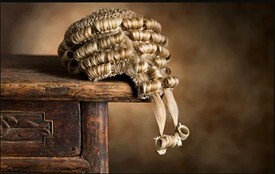 The case was prosecuted by Galway based Eyre French as counsel for the Crown and defended by Counsellor Morgan. It was proven in evidence that the murdered man usually carried money; a witness stated he saw him enter Morelly’s house on New Year’s Day 1764 and that he was found murdered the following morning outside the house. It was also proved that Hanly’s backpack was rifled and money was taken from his pocket, which was later found wrapped in a piece of paper in Morelly’s pocket and that the murdered pedlar’s handwriting was on the paper. Counsellor Morgan agreed that Hanly slept in the Morelly’s house on the night in question but that it was Hanly who opened the backpack and gave the money to Morelly for safekeeping. A servant who slept in the house that night swore that Hanly got up around 2am and went outside where he was killed. Eyre and Morgan professionally argued their cases and points of law as best they could. Judge Lill left the matter entirely up to the jury. The jury returned after five minutes with a verdict of wilful murder against Morelly. Judge Lill donned the black cap and Morelly was sentenced to death. The judge remarked that he entirely concurred with the verdict they had reached and Eyre French loudly remarked “everyone in court agrees with his lordship”. “That is false, sir” retorted Morgan “and you know it is false. I for one do not concur in the verdict and you are unwarranted in making that observation!” and he flung his brief in French’s face. The judge did not see, or pretend to see, the insult. 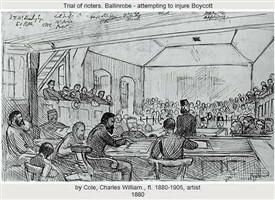 Judge Lill immediately left the court and accompanied by several legal men rode off towards Galway. French and Morgan headed for Galway too and on the following morning they met again in a field in Forthill on the outskirts of the city where they fought a duel with horse-pistols. After they had exchanged four volleys and were loading for the fifth, it was observed that Morgan had stuffed his hand into the pocket of his breeches and there was a pool of blood at his left foot. The duel was stopped and it was then discovered that Morgan’s thumb had been shot off. The gentlemen became reconciled and they then moved off together. With regard to Morelly, Pue’s Occurrences of 30 August 1766 states simply “he was executed at Ballinrobe, pursuant to the sentence”. This page was added by Averil Staunton on 10/02/2018.